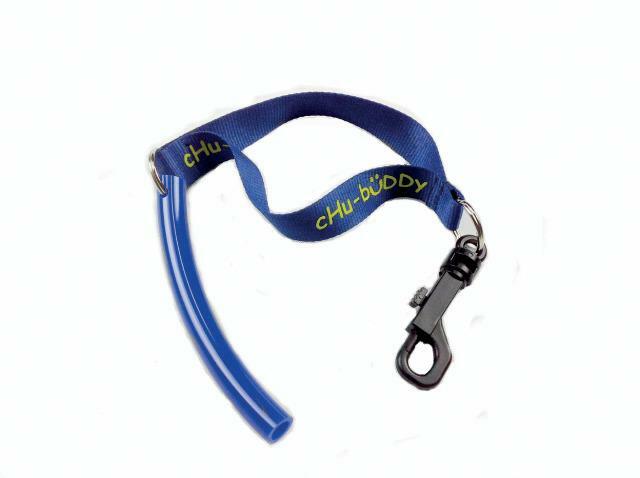 cHu-buDDy tubes are made for aggressive chewers and moderate chewers. Tubes are warranted to not be chewed through for 90 days from purchase. 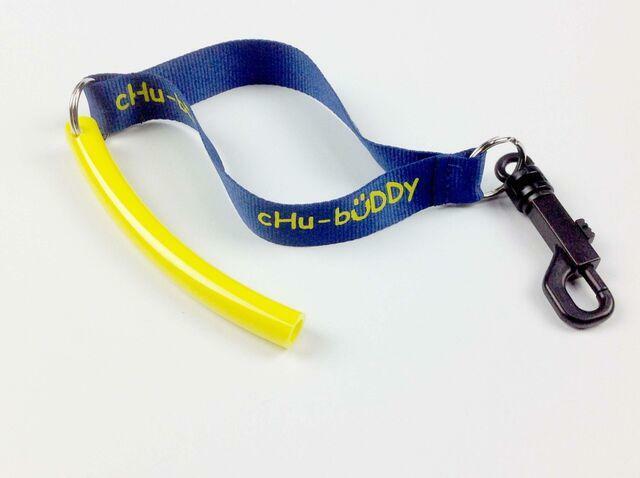 cHu-buDDy tubes are made from an NSF 61 compliant, non-toxic material that is BPA-free, pthalate-free, latex-free and lead-free. 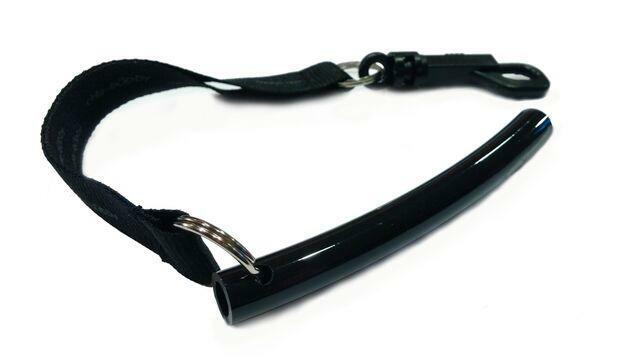 Comes with an 8" tether that makes it easier for them not to lose. 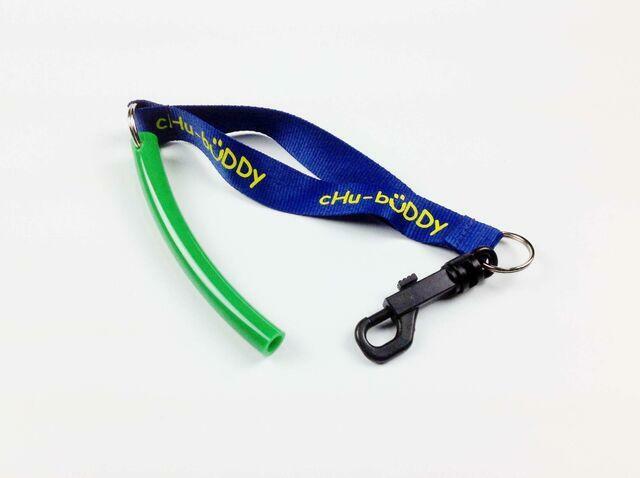 Other colors available: 3CHTUY-Yellow, 3CHTUR-Red, 3CHTUG-Green and 3CHTUB-Black. 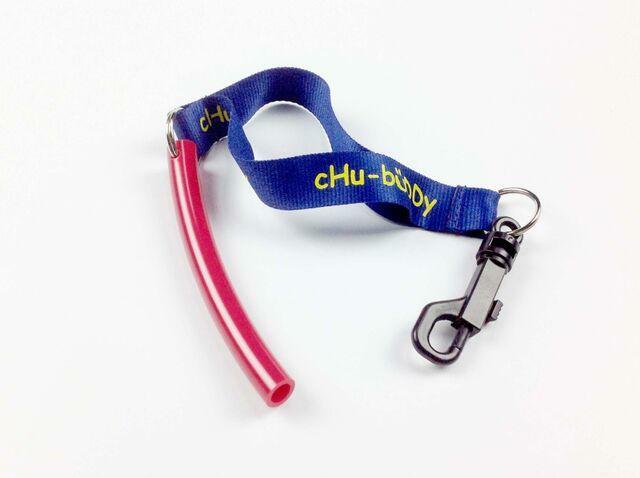 NOTE: Chew products are not returnable. Perfect. I hope my son will keep it attached but so far, so good.